Project ResearchLab _ Blindness and Cinema. 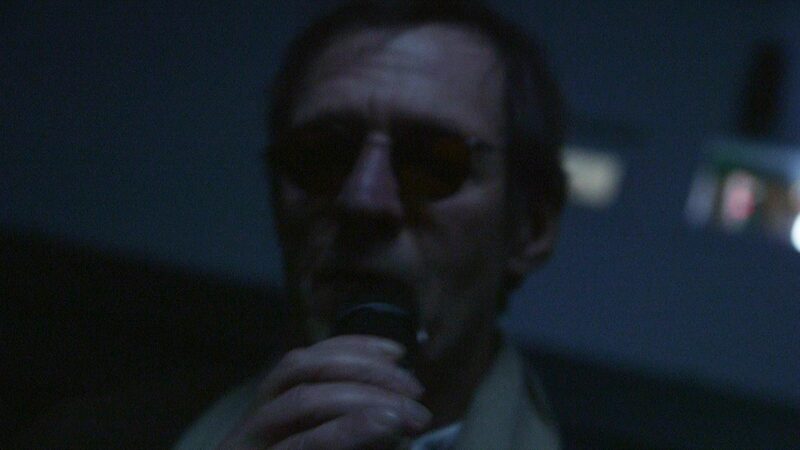 Film performance at the Eye Filmmuseum, Cinema 2 – 2015, video HD, 24’20”. 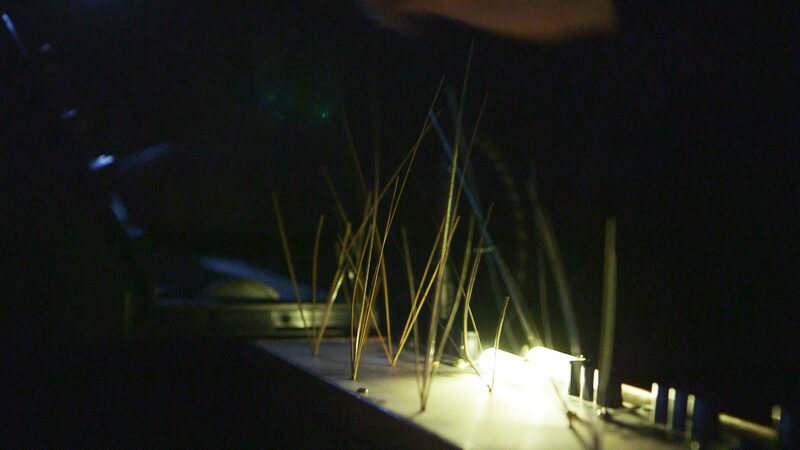 By bringing together the act of filming and the act of screening during an experimental evening in March at the EYE Film Museum, I have developed what I called a “live film performance”. 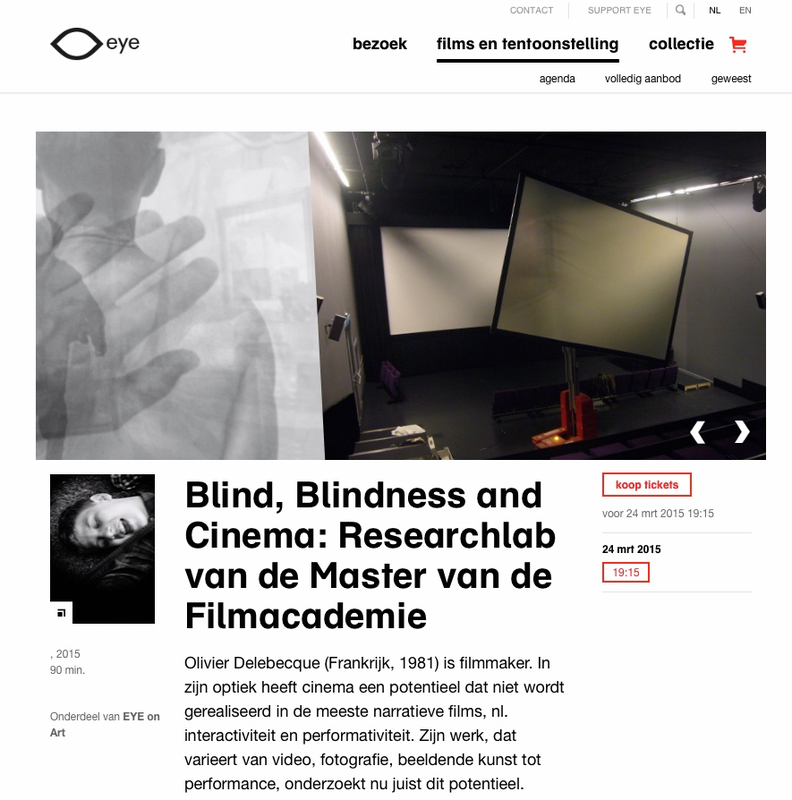 For this first attempt I chose to program an evening about blindness and cinema. To do so I invited blind and visual impaired persons to watch, participate and debate about films with blindness as their main subject. 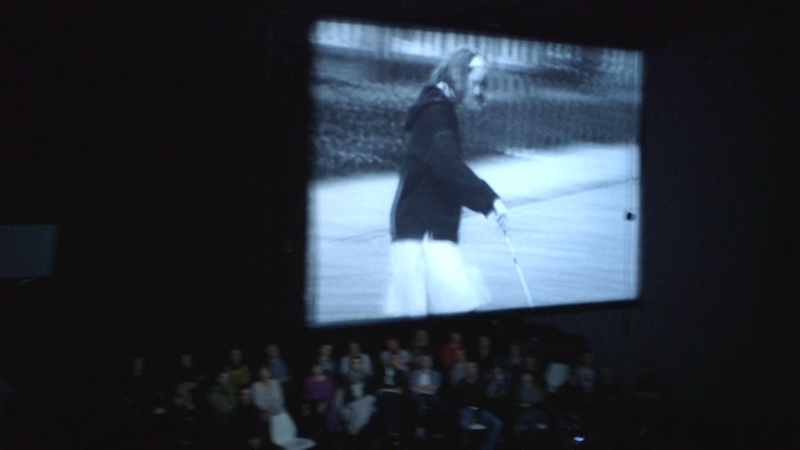 The audience was positioned in two groups facing one another with the screen placed in between them. Together they established a new network of perception between bodies within the film theater, a new arrangement, an other understanding of the act of seeing. The goal of this evening is to challenge the traditional perception of a film and explore the possibilities of interactivity between an audience, a space, cameras and a filmmaker. (see Boat People).